The online version of the original article can be found under doi: 10.1007/s00438-015-1049-z. The online version of the original article can be found at http://dx.doi.org/10.1007/s00438-015-1049-z. In the original version of this article two meeting abstracts and a thesis are cited and have also been included in the reference list. 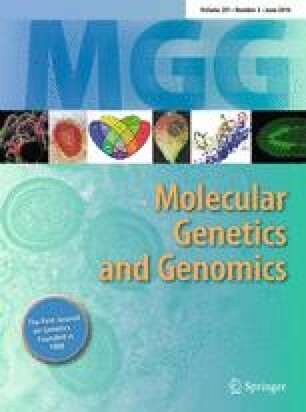 However, the inclusion of unpublished works in the reference list was against Molecular Genetics and Genomics’ policy at the time, and also misleading for readers. The authors apologize for this oversight. The authors meanwhile informed us that the thesis by Ndunguru J (2006) is freely available at the University of Pretoria Electronic Theses and Dissertations (UPeTD) repository: http://hdl.handle.net/2263/30648.